Brooke Graham is the perfect blend of Type A and Type B. Analytical, adaptable, and approachable, she knows how to drive a project forward while melding seamlessly into a new organization. Calm and cool under pressure, she thrives when she’s leading teams in fast-paced environments. Brooke enjoys leading challenging projects involving change, especially ones where she can cultivate a powerful team. She lives to bring people together, whether the goal is to effect an organizational transformation or to plan a good party. Brooke has more than 10 years of experience leading strategic, operational and organizational initiatives. 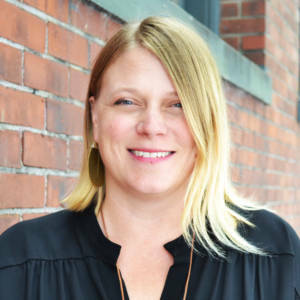 Her background includes senior roles at Energy Trust of Oregon, where she developed change management strategies, and standards and procedures to enhance the customer and contractor experience. She holds a bachelor’s degree in liberal studies from the University of Montana.